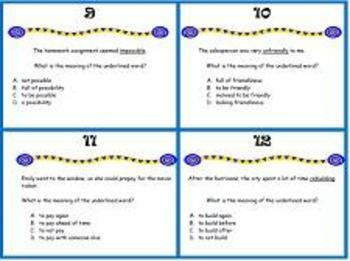 32 Multiple Choice Task Cards to help students understand word parts. Assess whether your students can identify the meanings of different prefixes and suffixes. 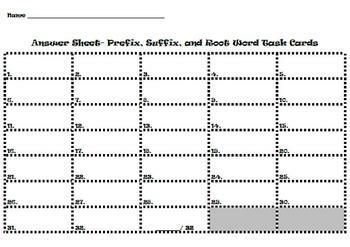 Also, students will show whether or not they can identify the root of a word, or the prefix or a suffix of a word. 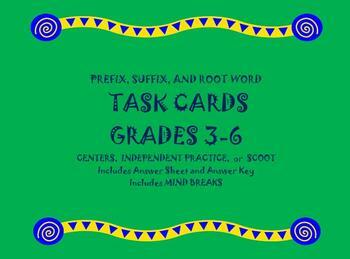 Some cards include sentences and students need to define the meaning of the word demonstrating knowledge of the prefix or suffix. Task cards can be used in many ways. They are excellent for independent practice, center activities, or a SCOOT GAME. 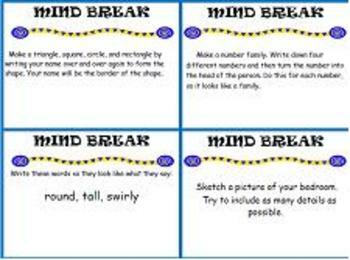 Included are SCOOT GAME directions and Mind-Break Cards if you have more students than cards. My students love completing the MInd-Break Cards! Also this product includes an answer sheet for students to record answers and an answer key for you to check their work. PLEASE DOWNLOAD A PREVIEW AND CHECK THIS PRODUCT OUT!